In what would become one of sports’ most storied and time-honored traditions, the Army Black Knights and Navy Midshipmen met at Franklin Field in Philadelphia in 1899, for the first time on neutral turf. Fast-forward 114 years and the event known as the Army-Navy Game called Philadelphia its home for the 85th time. 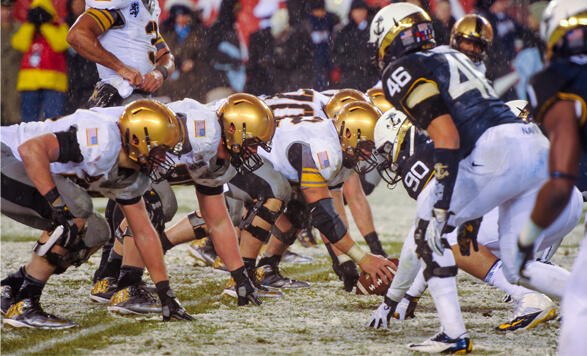 On December 14th, in front of sold out crowd of more than 68,000 at Lincoln Financial Field, Navy routed Army for its 12th straight victory, continuing the longest win streak in the rivalry’s history. The popularity of the game remains evident as more than four million viewers from around the country tuned in to the CBS broadcast, amounting to its highest television rating since 1999. The annual contest will travel to Baltimore next year and return to Philadelphia in 2015 and 2017.